I’m thankful this morning for the flickering flames of candles on the hearth in front of the fire place. It’s quite chilly outside this morning but inside it is toasty warm – the candles add to that sense of comfort, a measure of beauty. The candles remind me that light and warmth are fragile blessings … dependent upon a source. 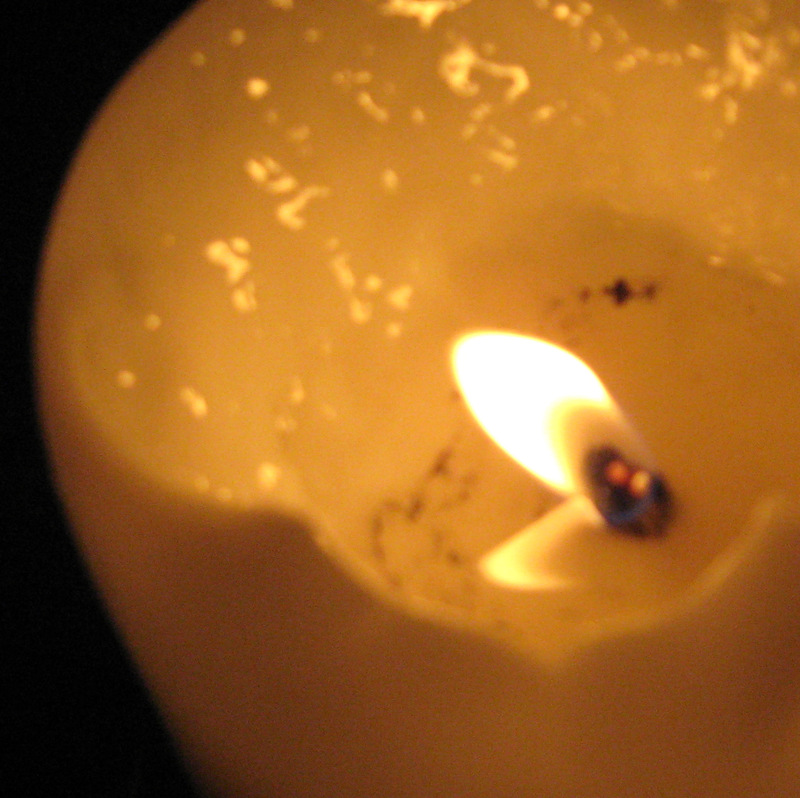 I am blessed to have access to wax, wick, match … but also to a roof over my head, heat, and loved ones. In the Scripture, Paul uses the metaphor of washing to represent our purification saying that Christ loved the church and gave himself up for her to make her holy, cleansing her by the washing with water through the word, and to present her to himself as a radiant church, without stain or wrinkle or any other blemish, but holy and blameless. This morning I’m grateful that Jesus is the light of the world, cleansing me … allowing me to reflect his light. I’m grateful this morning for my abundant blessings!